Here is another example of a vehicle, imported incorrectly, registered in a state, eventually catching up to someone. As any news article, they always seem just a little off in some areas - "the car is right hand drive." Even though it is true the car is right hand drive, it doesn't necessarily make the car illegal. They say that he is facing 20 years, and up to a $250,000 fine. Pretty harsh for a car. They did mention that he sold the car, even after a federal agent told him not to. There are many ways to illegally import a car, and just a few ways to do it correctly. GULFPORT -- An Ocean Springs man has pleaded guilty to a federal charge of smuggling into the United States an illegally imported car made in Japan, court records show. A federal grand jury indicted Kendall Noble, 31, on four counts of wire fraud and one count of smuggling in the case. In exchange for the plea, the three wire fraud charges were dismissed. Noble is set for sentencing today. He faces a maximum prison term of up to 20 years and up to a $250,000 fine. 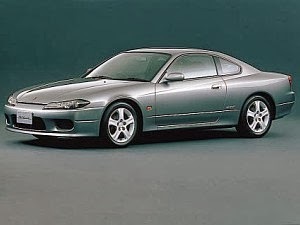 According to the indictment, Noble knew a 2001 Nissan Silvia he brought to South Mississippi did not meet Department of Transportation and Environmental Protection Agency standards. In addition, the car is a right-hand drive. Homeland Security Agents said Noble made fraudulent claims when he had someone register the car in Mississippi and later sold it to a South Carolina resident in 2011 despite a federal agent telling him he could not sell the car. The wire fraud centered around $5,135 in payment reportedly sent to Noble's checking account over an eight-month period.